Availability: 50lbs and heavier will ship in 7-10 Business Days. Available only in continental US 48 States. Pick-up not available. 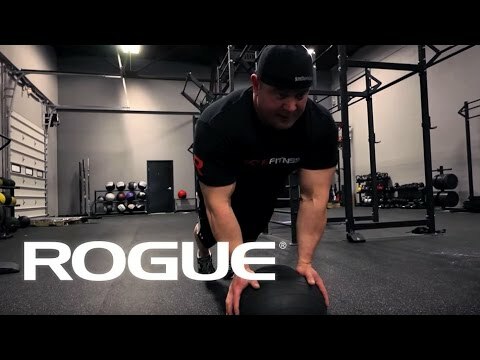 8LB Keystone Speed Ball - 9"
10LB Keystone Speed Ball- 9"
12LB Keystone Strength Ball - 9"
16LB Keystone Strength Ball - 9"
20LB Keystone Strength Ball - 9"
25LB Keystone Strength Ball - 9"
30LB Super Ball - 10.6"
35LB Super Ball - 10.6"
40LB Super Ball - 10.6"
Strength and power training benefits are enhanced with a single ball size spanning a wide range of weight. This means the same lifting-leverage factors will be applied consistently to the athlete’s conditioning performance. D-Ball benefits are similar to Olympic lifting. However, D-Ball places more emphasis on the core where the transfer of power linkage of the three torso components, shoulders, core and hips is similar, but the ball is held off the centerline so the core works harder to support lift and stability. D-Ball has a soft grip for a firm hold so they can be thrown harder emphasizing both strength and speed. The fact that they do not bounce adds work as they must be picked up off the ground each time they are thrown. D-ball Medicine Balls is rated 4.4 out of 5 by 9. Rated 5 out of 5 by Hutch1 from Great Product! I bought this a month ago and have used is a good amount o times already and really like the ball. I have used other brands before but this one seems to be better. I would highly recommend this product to anyone looking for a slam ball. I went with the 35lb. Rated 5 out of 5 by MattS from Great quality Have used for a month and so far so good. No bounce at all. Great size that is easy to grip. Rated 5 out of 5 by Vanessa from Great so far I run a CrossFit gym and we have several of these in increments from 40 to 70 pounds. They are quite firm and rather large. There is good carryover from these to the stone lifts. I have tried the red slam balls but those seem weaker - you can see sunlight through them, you can feel the sand shift around, and they bounce more. We have tried many different balls and they all break or leak after a few years. (I just had a 50# green Slammer spew iron sand all over the floor and my athlete! And of course the shipping to send them back is prohibitive.) So far these are hanging in there. Rated 5 out of 5 by cman638 from good replacement of durmax I have the 20# durmax and decided to try the 30# D-ball and it is destructive. In a Good way. it has no bounce and its easy to handle for Wall balls, slam balls and carries for runs. even with sweating hands it doesn't slip off unlike the durmax. 30# with this is advance and you do feel the weight much more when doing wall balls are slam balls. Rated 3 out of 5 by Jeff Techico from Labeled Incorrectly I ordered a 25# DBall and got a 25# DBall but labeled as a 20#. For the price one pays for this product, I am surprised at the inattention to detail. Rated 4 out of 5 by Reece from Durability issues My d-ball slammers don't seem to last very long. I originally bought 8 slammers of different weights through rogue. The first one to split was my 20#. Rogue worked with d-ball to replace it and I received my new one within two weeks. However, the new 20# slammer split within three months and again I had to wait for a replacement. I have gone through four d-ball slammers in three years. Rogue is such a good company to deal with when you have warranty issues with equipment. I am now buying muscle driver slammers instead of d-ball. MD slammers are half the price and you get a three year warranty instead of two with d-ball.